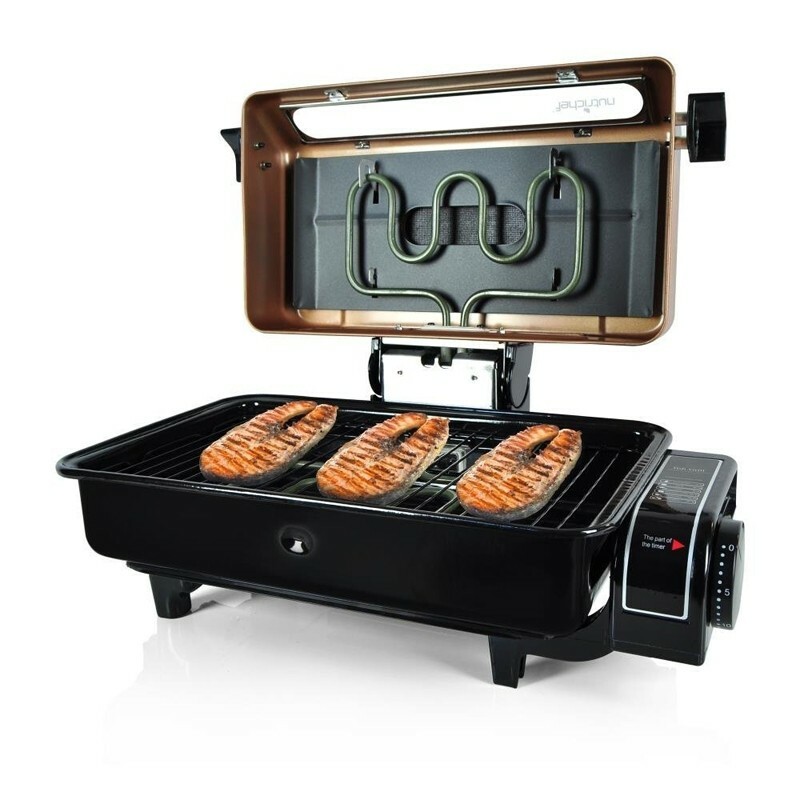 This grill is the perfect tool for cooking seafood to perfect temperatures. Grill it all from surf and turf, fish, lobster, clams, pork, chicken steak and more. Meats and vegetables are always on the grill so why not add some shrimp and fish and make it a delicious dish party. If there is a big party or group then no problem. Cook more of your favorite with a wider cooking rack. Conveniently this fish grill comes with a timer that 'Dings' when it’s done. The timer alarm is important when following seafood recipes. Auto power-off function included for customer safety. This model has adjustable time and settings for customized cook and end period. 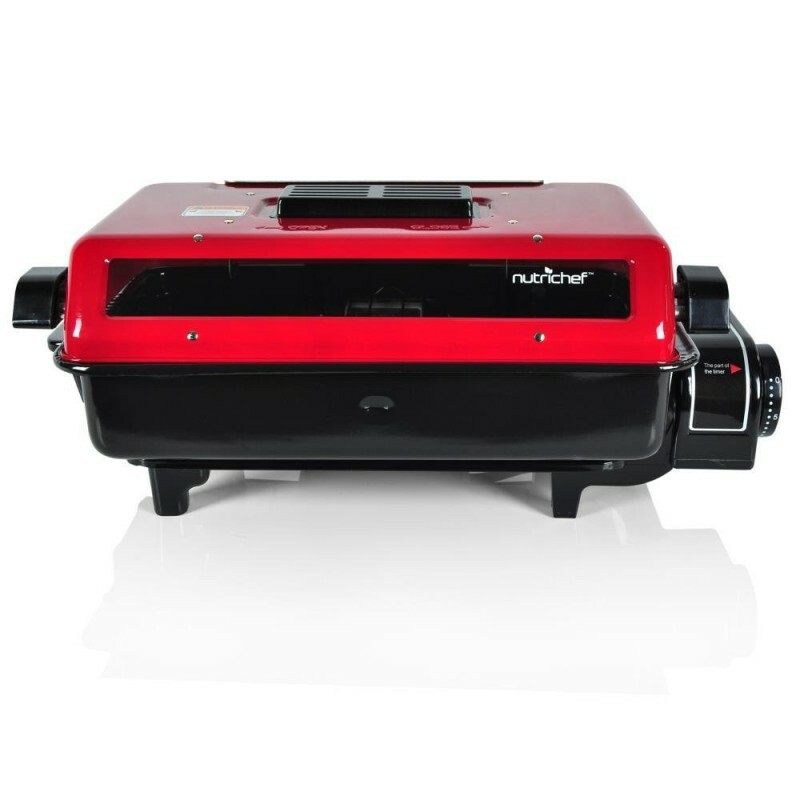 The built-in filter reduces smoke & odors from seeping out of the grill and in to the house or apartment. Cooking indoors is easy and hassle free now without the room clouded up. Not everyone appreciates the smell but everyone loves the taste. 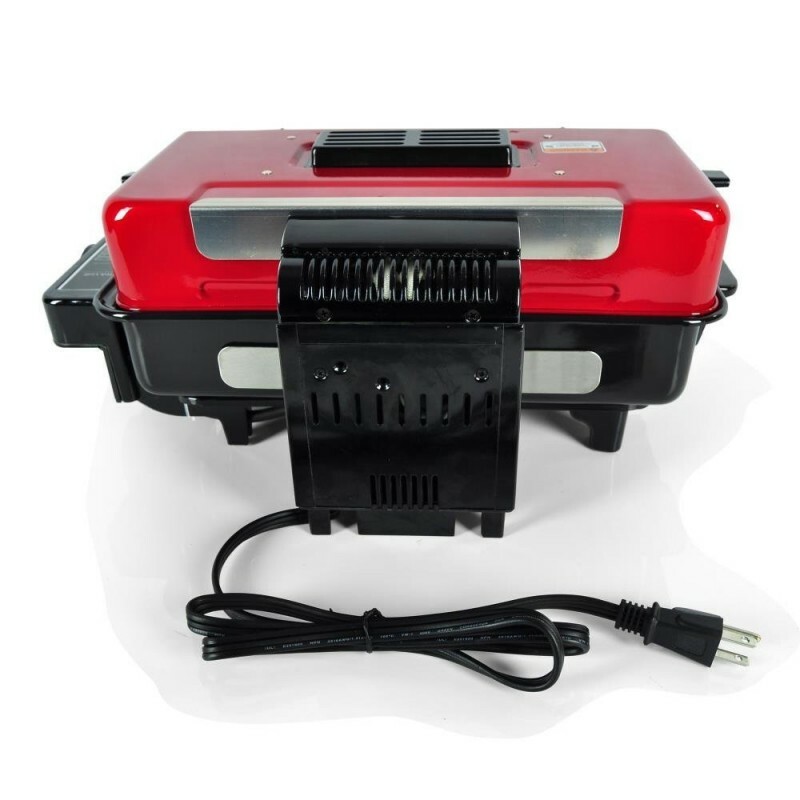 If cooking fish inside is problems because of neighbors or odors then worry no more. There is no need for constant turning or flipping of food because this model uses proper heating panels. Top and bottom panels heat the food from both sides so worrying about uncooked seafood will never be a problem. Fish, shrimp and lobster will come out looking amazing and thoroughly done to perfection. Fish releases oil when grilling so cleaning or catching it all can be messy. 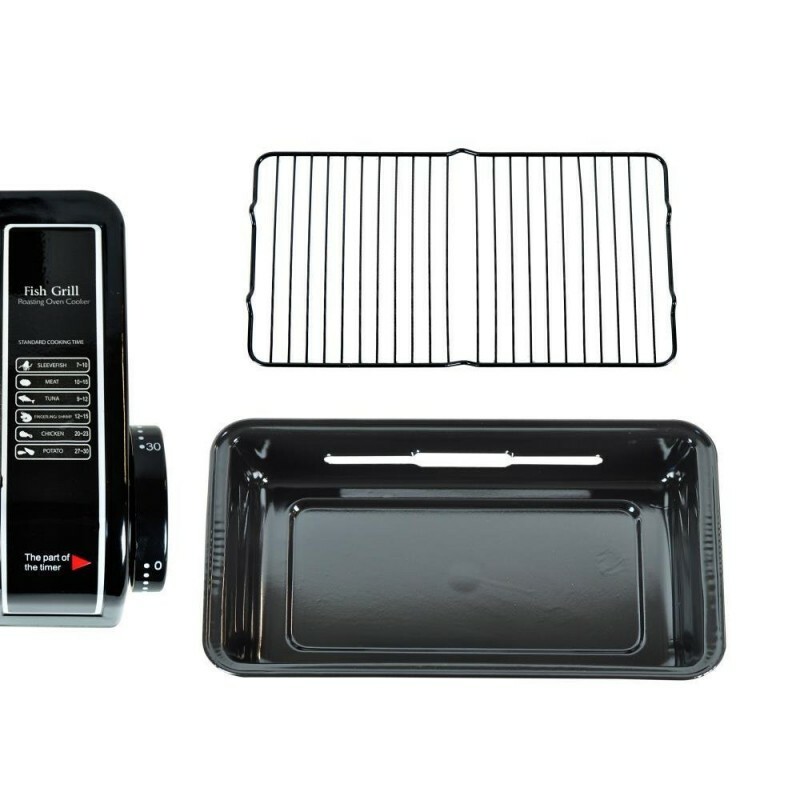 That is why removable & washable cook tray is included with this grill. 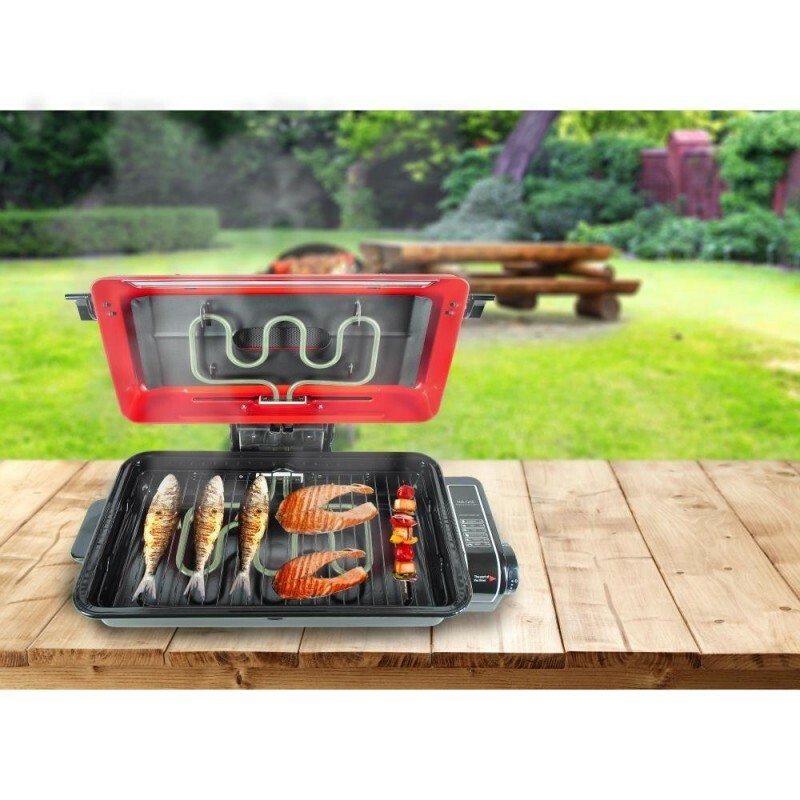 Cook or grill anywhere with an outlet nearby inside or out. 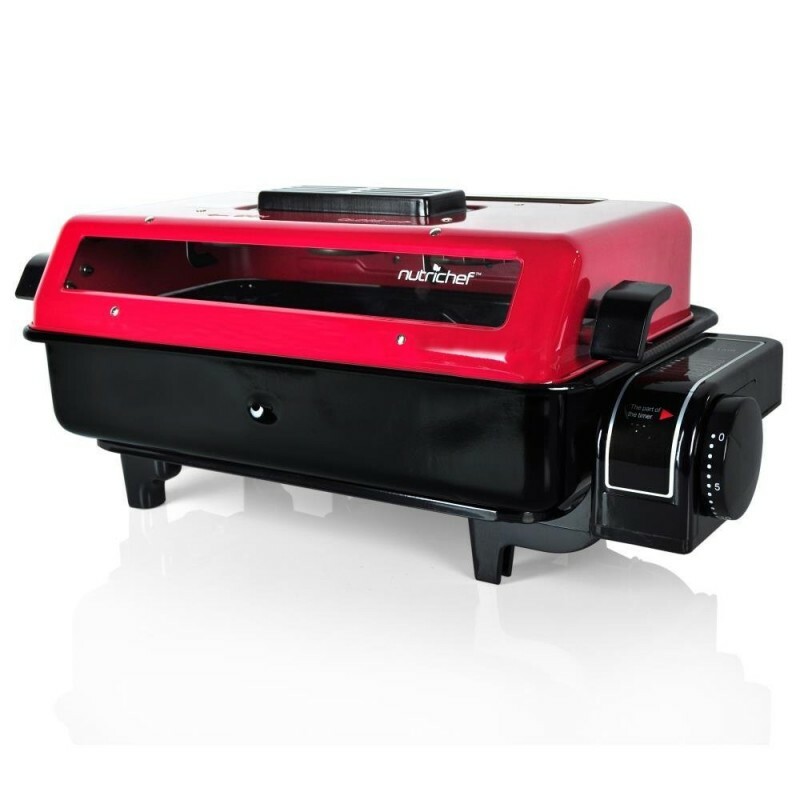 This grill is safe to place on any counter top or kitchen.